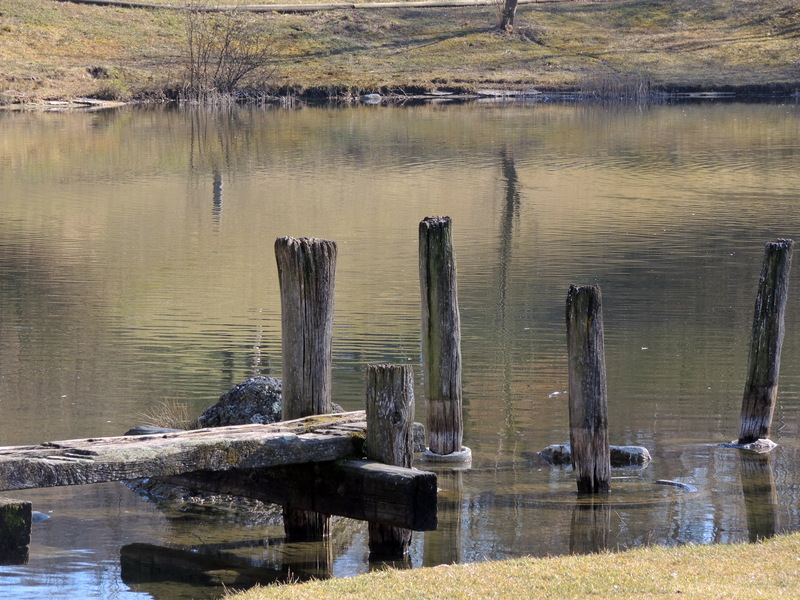 We love the textures of the pilings and planks of this decayed dock in the Irchelpark in Zurich. As always, nature and time combine to create beauty. Our mouths almost water at the thought of crafting a bench, or a bedstead from them. Photograph ©2012 by Roland Fischer. All rights reserved. We have a few of these in Philly, from the days when the riverfront was busier. Just the bare bones of what once were piers.